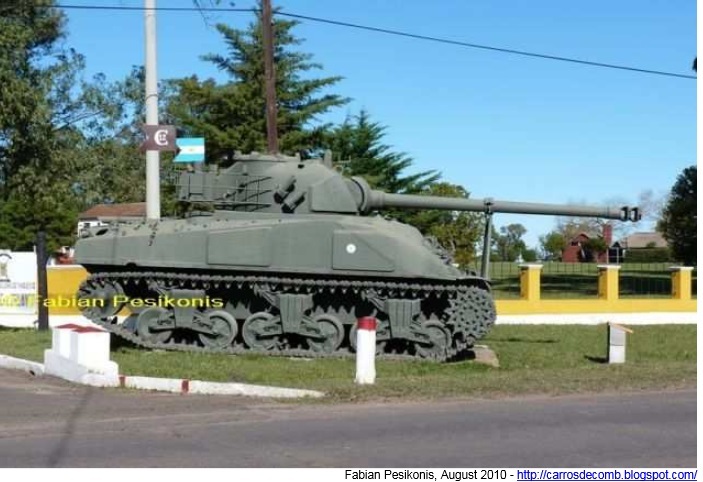 The modifications included the french Poyaud 520 diesel engine, french made 105 mm cannon, built under license in Fábricaciones Militares Río Tercero, and other minor improvements. 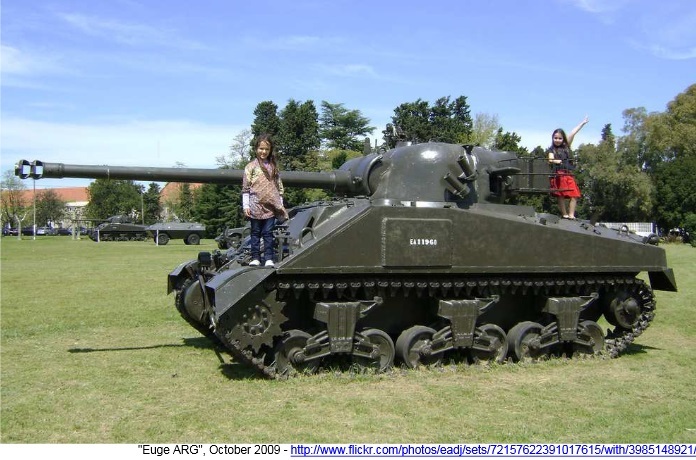 These included a rear modification of the turret, with a counterweight for the new longer and heavier gun, four smoke grenade launcher, storage baskets and new positions for radio antennas. In the hull, the modifications was more extensive, the engine compartment was redesigned for the new Poyaud 520 diesel engine, the suspension was revised and upgraded, and the tracks are rebuilt. This project began in 1976 and finished in 1978, just in time to be deployed during the border crisis with Chile, in December of that year. 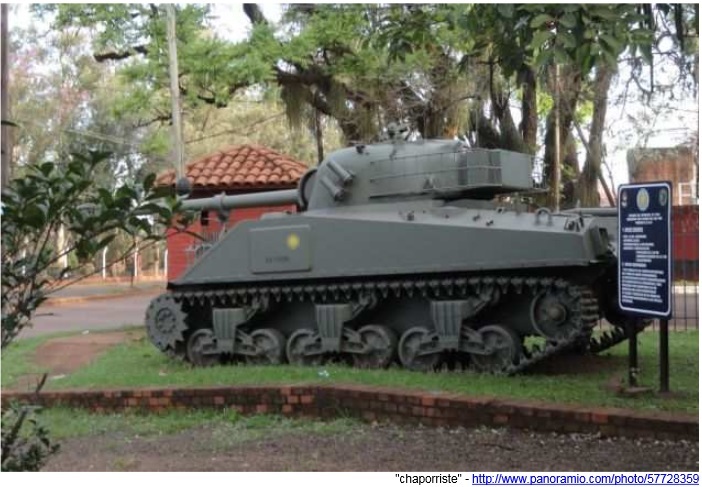 A total of 252 Shermans in many versions are upgraded to ‘Sherman Repotenciado’ standard and the last vehicles stayed in service until 1994, when all the TAM VC medium tank were completely active in the I and II Brigadas Blindadas (1st and 2nd Armoured Brigades). Even now, in 2002, a few (12?) 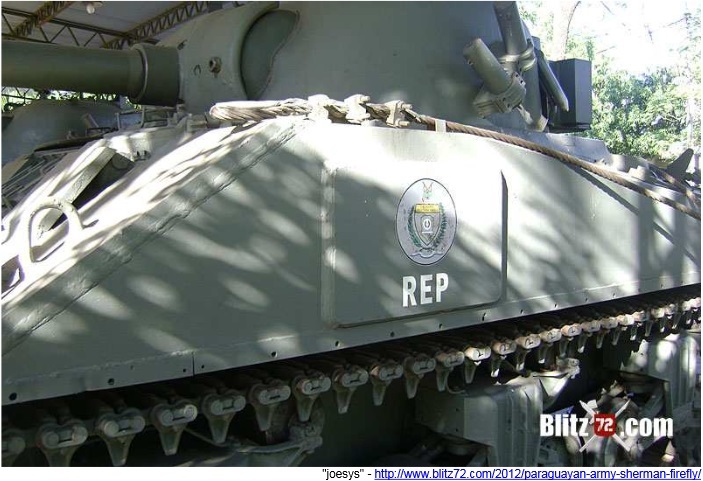 ‘Sherman Repotenciado’ are still in service for support roles with the URDAN mine roller. The rest are now momuments and in museums. 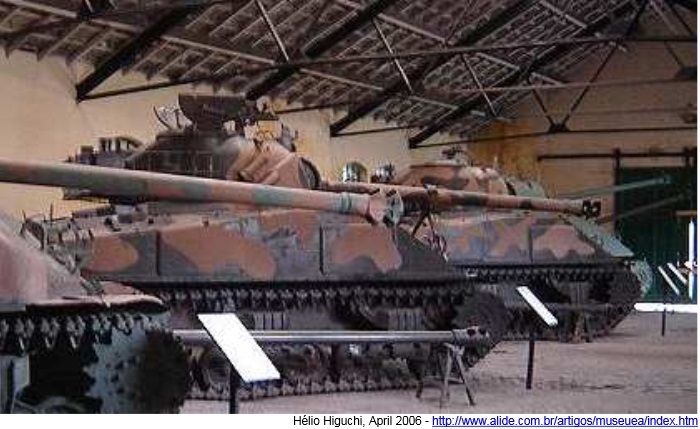 British India possessed a number of Ex-British Shermans at the time of the 1947 Partition and the M4 found itself in both Indian and Pakistani inventories. 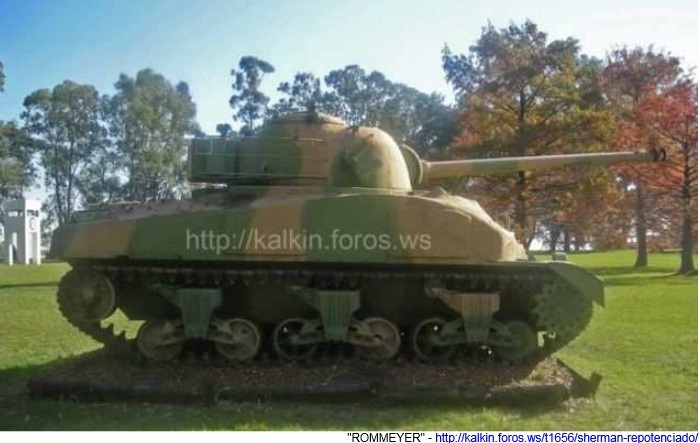 In the 1950s another 200 Shermans were bought from the US. 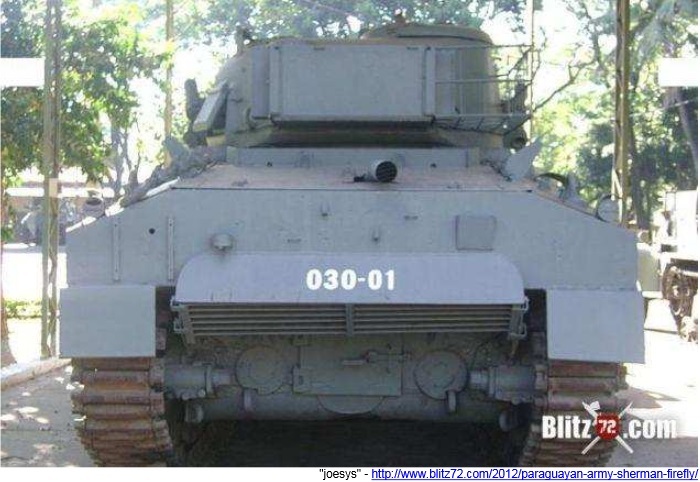 In the 1960s, India operated M4A3 and M4A4 both with 76 mm gun and some Sherman displayed as war monuments in India are still equipped with French CN 75-50 75 mm gun (as used in the French AMX 13 light tank). 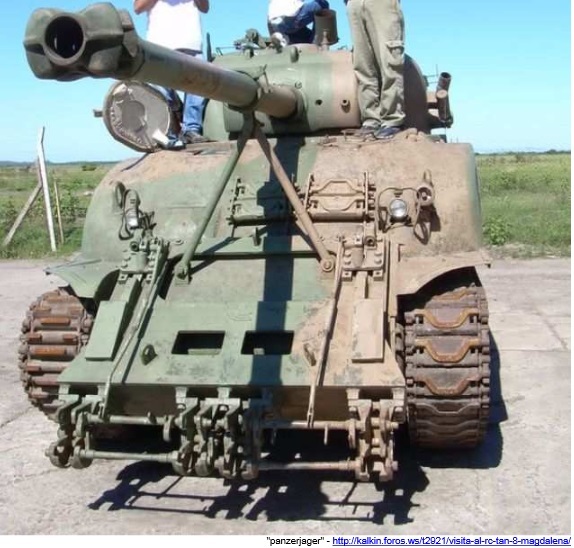 India also upgunned some Shermans with the Soviet D56-T 76.2mm gun also used by Indian PT-76 tanks. 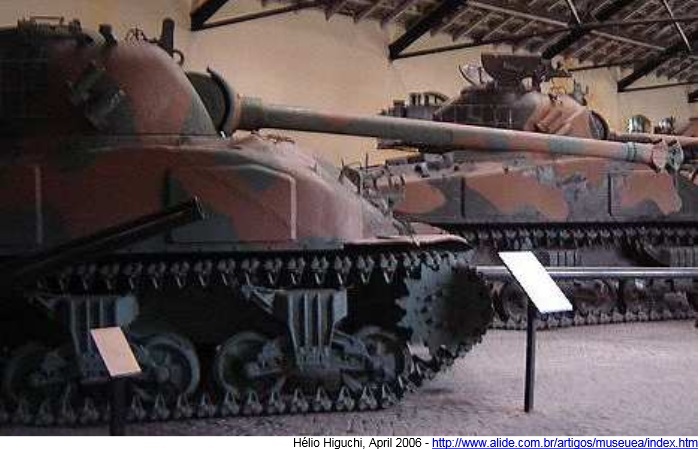 Indian Shermans were used in the 1965 War to provide support to the Centurions in the Battle of Assal Uttar and were in service with the Indian Army until 1971. 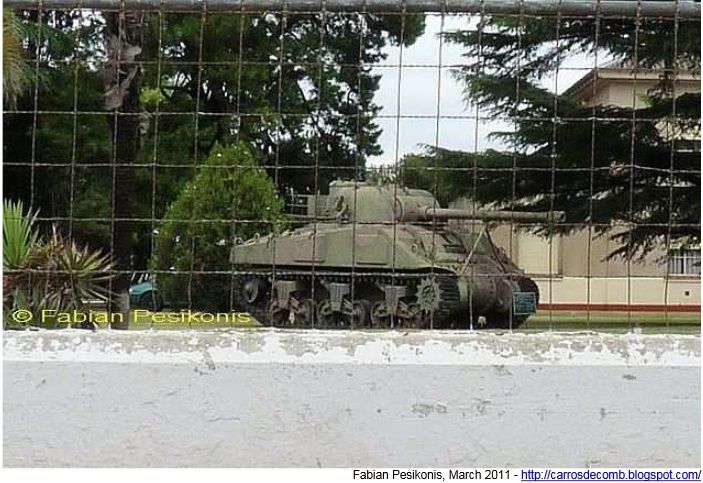 A number of Sexton SPGs were in service until the 1980s. 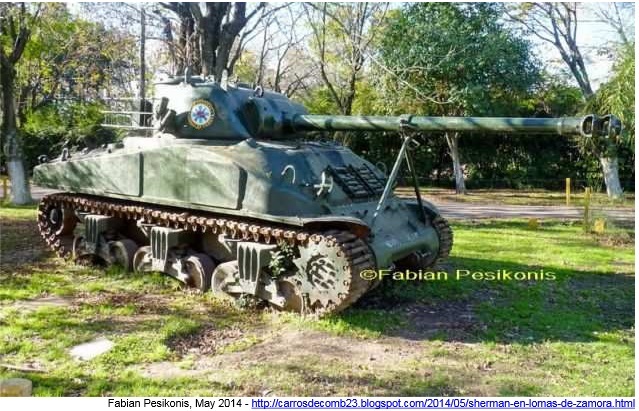 Pakistan received Ex-British Shermans in 1947, which had the retro-fitted US 76 mm gun. 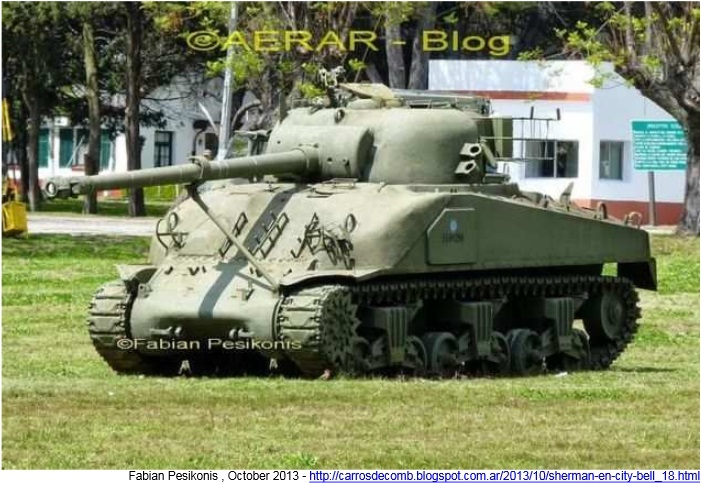 Pakistan also bought 547 M4A1E4(76)s during the 1950s. 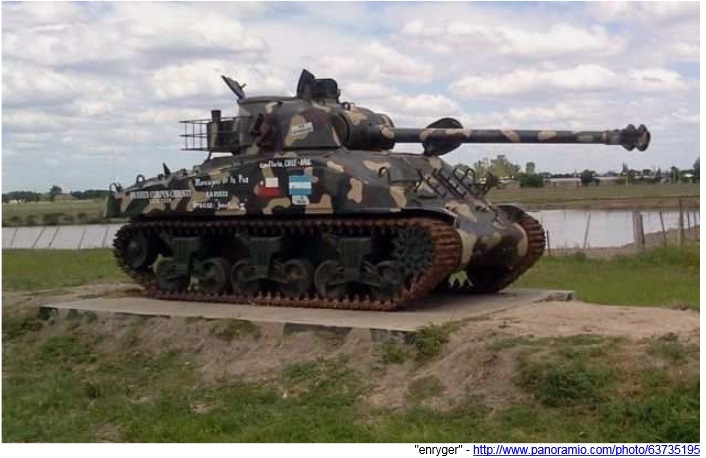 Around 300 M4s saw their fair share of combat in the Indo-Pakistan wars in both 1965 and 1971. After 1971 war the Pakistani Army retired the M4 from service. 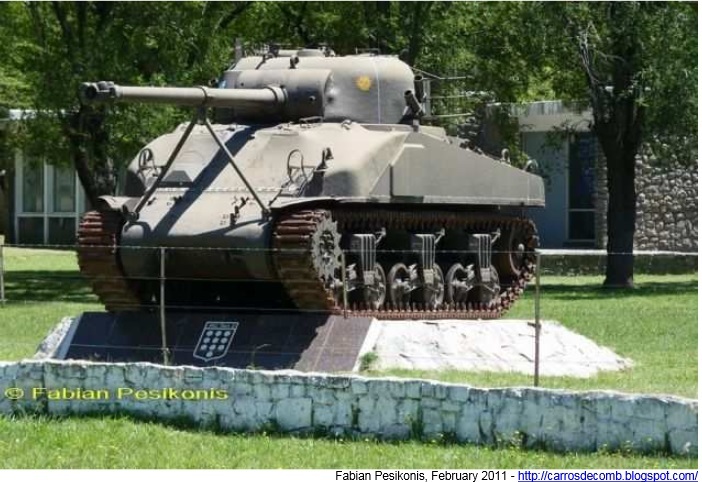 At the time of the 1965 Indo-Pakistan War, Pakistan owned 200 Shermans re-armed with 76 mm guns. 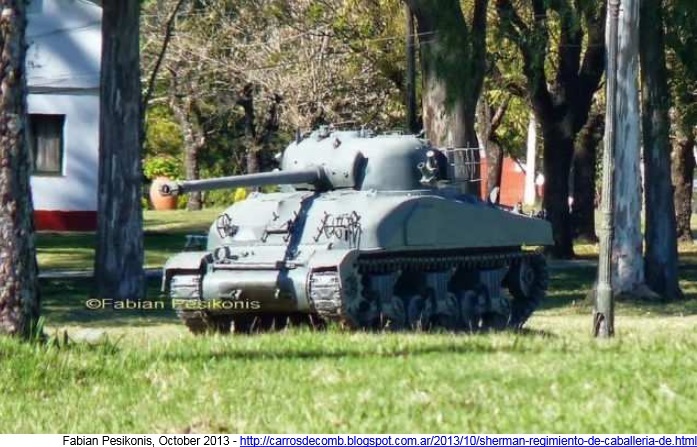 The Sherman fought on both sides of the Second Kashmir War and Indo-Pakistani War of 1971. 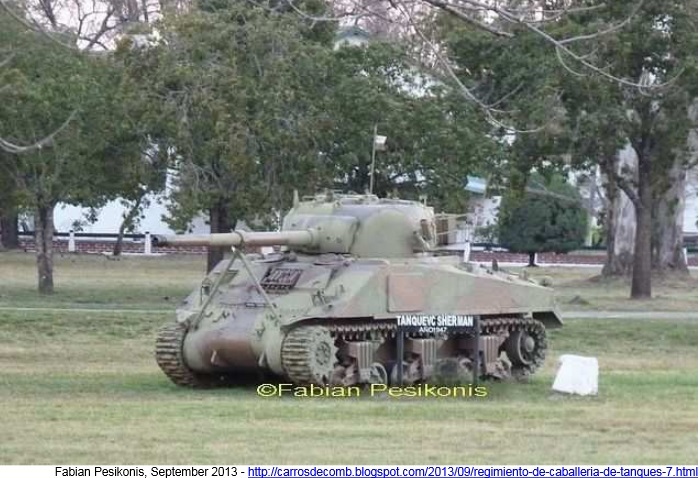 Some of the surviving Shermans fromIndo Pakistani wars are also displayed at Pakistan Army Museum. 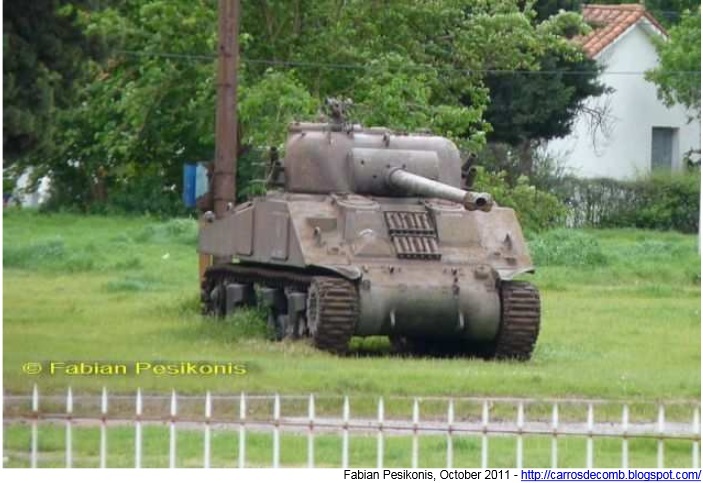 Iran received an unknown number of Shermans and some were used in 1980. 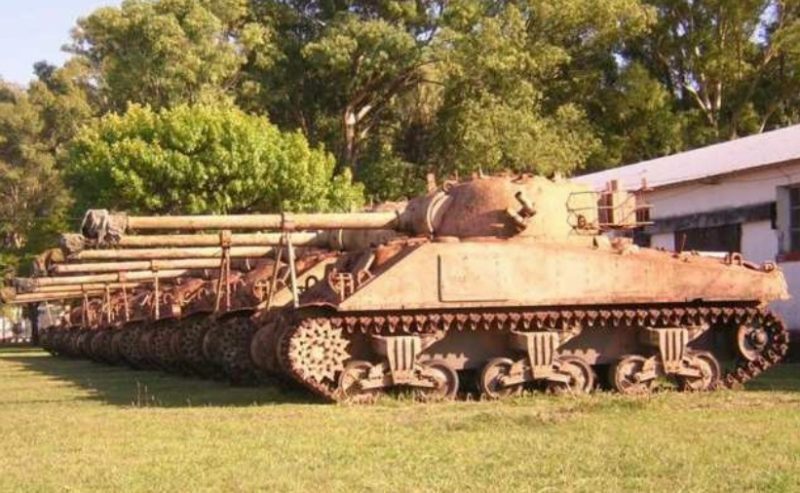 Iraq captured some Shermans during the Iraq-Iran War. 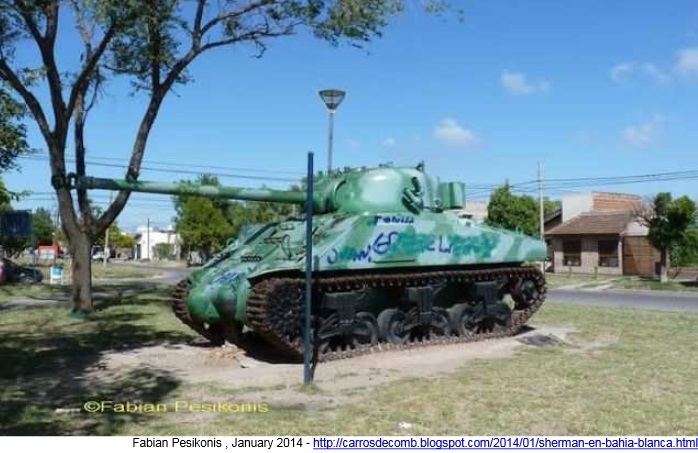 Iraq also captured at least a single M-50 Sherman, supposedly an Israeli Army tank, and displays it in Tikrit. 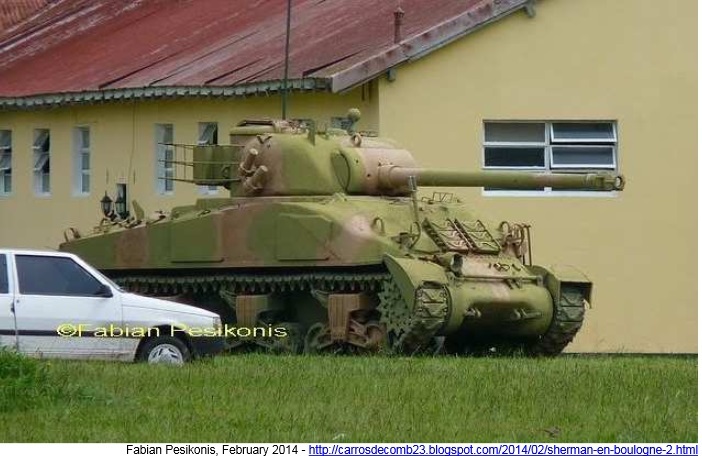 The Japan Self-Defense Forces received 250 M4A3(76)W HVSS and 80 M32 TRV IN 1954. 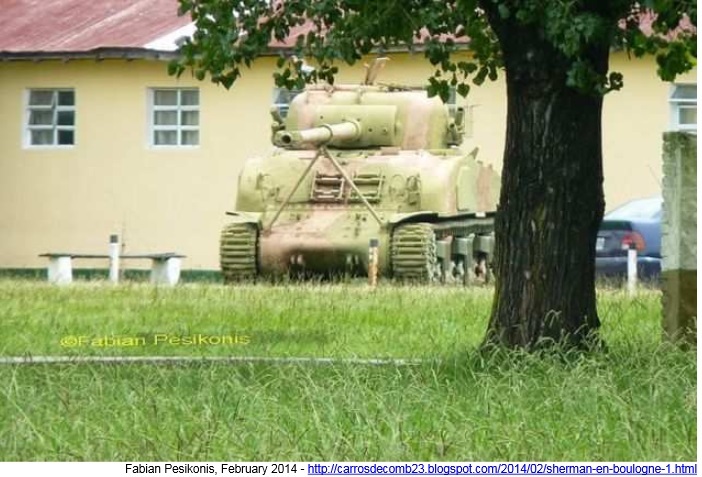 The indigenous Type 61 only slowly replaced American tanks over the 1960s.